Much attention has been focused in recent years on the transformation of the economies of Eastern and Central Europe and the former Soviet Union. However, a growing demand for policy advice, technical assistance and expertise is also coming from Asian reforming countries such as China, Mongolia, Vietnam, Laos and Cambodia. In addition, business communities abroad are increasingly interested in exploring investment and marketing opportunities in these reforming countries. Such developments are too important to overlook or ignore.The transformation of socialist economies towards market-based systems entails an unusually wide range of problems. Studies of related topics are complicated by the speed of the changes and the lack of clear historical precedents. 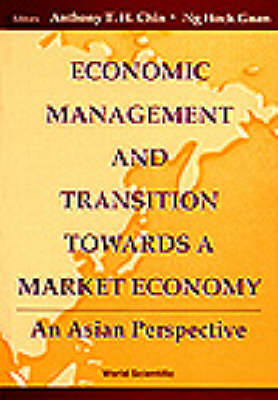 Although the structural features of Asian reforming economies are in important ways different from those of the Eastern European economies, all socialist economies share similar fundamental conditions on the eve of economic reform which raise a similar set of reform issues.This volume brings together a rich collection of expertise and information in an attempt to shed some light on the transitional process in Asia. The contributions are by no means exhaustive. However, they provide the reader and analyst with an excellent starting point to the problems and prospects which are specific to Asian transforming economies.